Pink eye affects about 3 million Americans every year.  If you’re dealing with pink eye symptoms like red, itchy, watery, and puffy eyes, reach out to the expert eye care team at Ironwood Eye Care in Scottsdale, Arizona, for fast relief. Use the online scheduler or call the office to book your appointment today. Many pink eye sufferers have multiple symptoms. Usually, pink eye is painless, although irritating. In some severe cases of pink eye, you can experience eye pain and even vision loss if you don't get treatment. Pink eye usually starts with a viral infection but can also come from a bacterial infection. Pink eye caused by infection is highly contagious. Less commonly, pink eye can be caused by allergies or a foreign body in the eye. Your optometrist can recommend ways to soothe your discomfort, but in most cases, you have to wait it out. Fortunately, there are a few things you can do for symptom relief. Usually, antibiotic eye drops aren't helpful because pink eye is usually viral. Depending on what kind of viral pink eye you have, your optometrist may prescribe antiviral medication. Your optometrist may prescribe antihistamine eye drops, as well. Daily cool compresses every few hours (replacing the washcloth each time) can help ease symptoms. Be sure to throw out any contact lenses that you were wearing when the pink eye symptoms started since the infection can cling to the lenses. How can I avoid spreading pink eye to others? If you have pink eye due to viral or bacterial infection, it's important to take a few precautions to avoid spreading it to others. If you have to be around others while recovering from pink eye, just be sure to follow the tips above, along with strictly adhering to the treatment plan prescribed by your Ironwood Eye Care optometrist. Click the online appointment maker or call the Ironwood Eye Care office to get relief for pink eye symptoms. Please click here to read more about pink eye!